Manchester United have emerged as the top contenders to sign Bayern Munich superstar Robert Lewandowski, according to latest reports in Germany. The Polish international recently dumped his former agent Cezary Kucharski after 10 years of partnership to bring Pini Zahavi on-board, which suggests the Bayern Munich star is definitely keen to secure a move away from the Allianz Arena. Real Madrid has been rumoured to be the most likely destination for the 29-year-old, but ESPN journalist Mark Lovell has now revealed via Kicker that in reality, things are completely different. 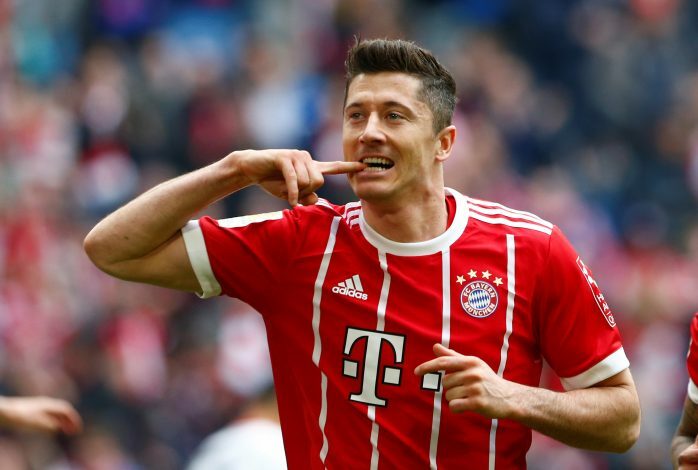 The German magazine claimed that Lewandowski could be headed towards the Premier League instead of La Liga, as English heavyweights Manchester United are ‘the only club’ to have approached Bayern for their superstar’s signature. Meanwhile, Los Blancos are not yet completely out of the race to land the prolific marksman, with Chelsea also keeping a close look at the player’s situation. However, as per ex-Madrid defender Christoph Metzelder, the forward is too valuable to the Bundesliga Champions, and thus, any deal is highly unlikely, if not impossible.